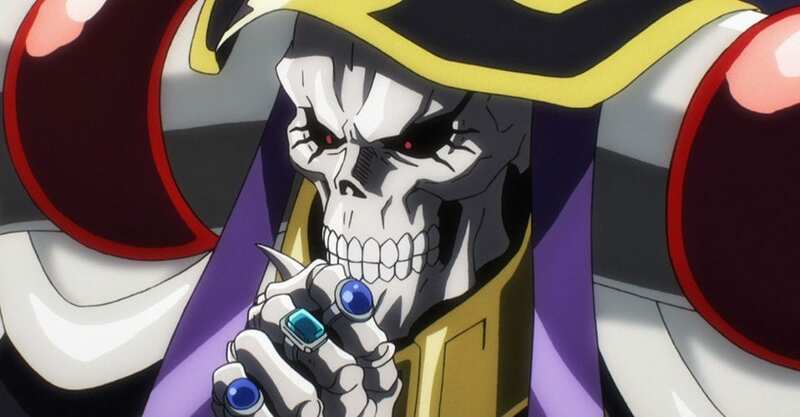 ‘Overlord’ is one of the most popular isekai anime out there. It is also one of the best anime which is set in a game world. It revolves around a virtual reality game known as Yggdrasil whose final hours have come and the servers are going to be shut down forever. Momonga, a veteran of the game, decides to stay in the game until the servers are shut completely. But then he finds that even after midnight the game is still going on and it seems he is inside the game. Being quite powerful and experienced he decides to take control of this world. The massive popularity of this series is due to its protagonist Momonga who is sort of a dark and ruthless character who rules the world of Yggdrasil. 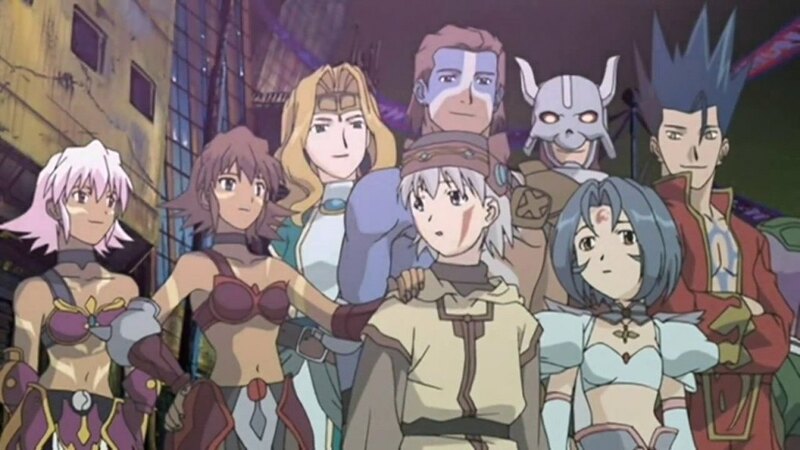 If you have watched the series and were wondering what are some other anime similar to it that you can enjoy then you have come to the right place. Here’s a list of anime similar ‘Overlord’ that are our recommendations. You can watch several of these anime like Overlord on Crunchyroll, Hulu or Netflix. 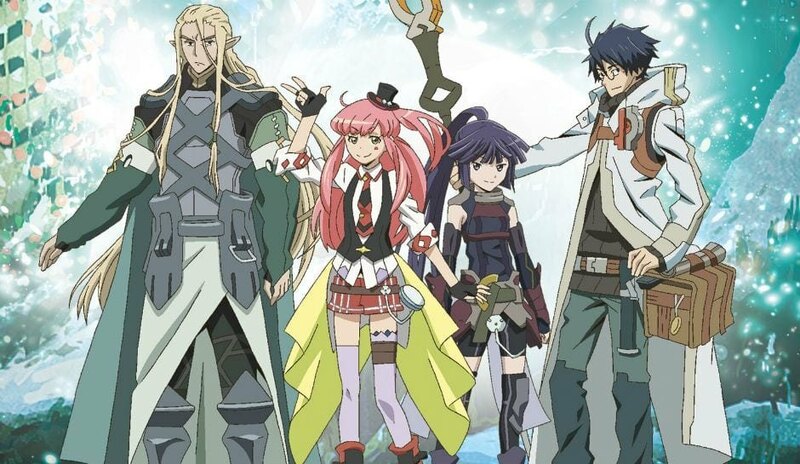 If you like some harem theme with your game genre anime then you might wanna take a look at ‘Death March to the Parallel World Rhapsody‘. Though this anime is not as good at ‘Overlord’ but still nice little fun one to pass your time. The protagonist of this anime is Ichirou Suzuki. He works as a programmer and his job includes testing and debugging games. He seems to have too much work and by the end of the day, he has no energy left. Thankfully, he gets a chance to doze off. But when he wakes up he finds himself in a world which is a mash of many games that he has been testing. His appearance is quite young and his name is Sato, the name he uses to beta test the games. He fends off an attack by an army of lizardmen and his level boosts up to 310. Now, overpowered he decides to explore this fantasy land. Look, ‘Seiken no Blacksmith’ is on this list because it is similar to ‘Overlord’ in its settings and genre. By that, I don’t mean to say that the anime is as good as ‘Overlord’ but still is fun enough to give it a watch. If you want something more serious and interesting you can skip this one. Using the devil’s power is forbidden. This was done after a tragic war broke out in which the power of the devil was used. Cecily Campbell is a knight. She has an old sword, given to her by her grandfather, which seriously needs some repairing. 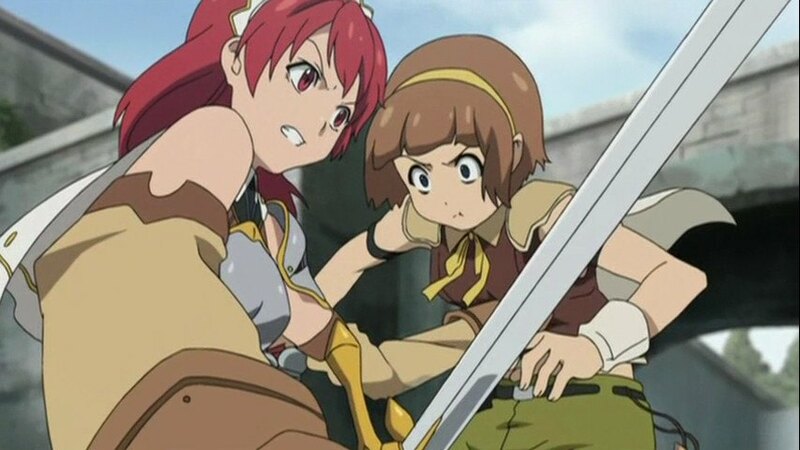 She is searching for a blacksmith when she stumbles upon a duel between a man with a strange sword and a ruffian. The ruffian used the devil’s power but the man defeats him. Turns out he is a blacksmith by the name of Luke. Soon, the duo begins their adventure. Tsukasa is the alias of a young Wavemaster. One day he wakes up to find himself in an MMORPG (Massively Multiplayer Online Role Playing Game) known as The World. He seems to have slight amnesia as he does not remember his activities before waking up here. Also, he is unable to log out of the game. The Crimson Knights think that he is a hacker which makes Tsukasa avoid them as much as possible. While exploring the world he stumbles upon a magical item which changes into a ‘Guardian’. Furthermore, the Guardian offers him protection from all sorts of harm. 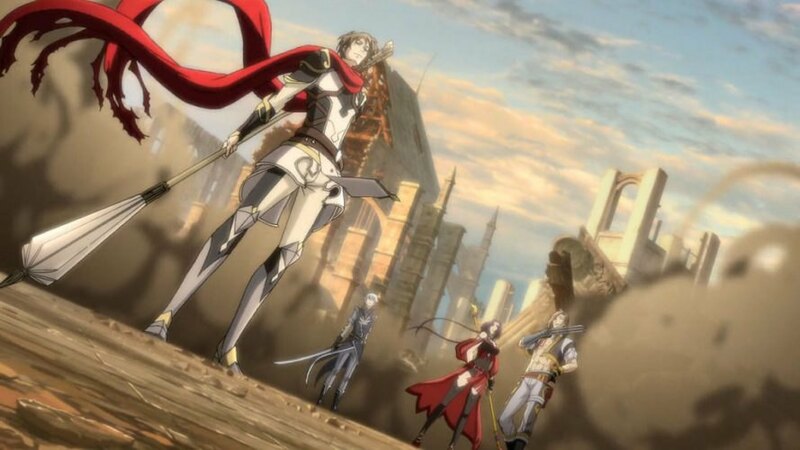 He then meets up with other players of the game and Subaru, the leader of the Crimson Knights. They decide to help him find out the reason for his inability to log out before it becomes too late. Isekai is such a genre that a creator can easily end up making something stereotypical and boring. It is quite nice to see that the creators are trying their best to keep things fresh. 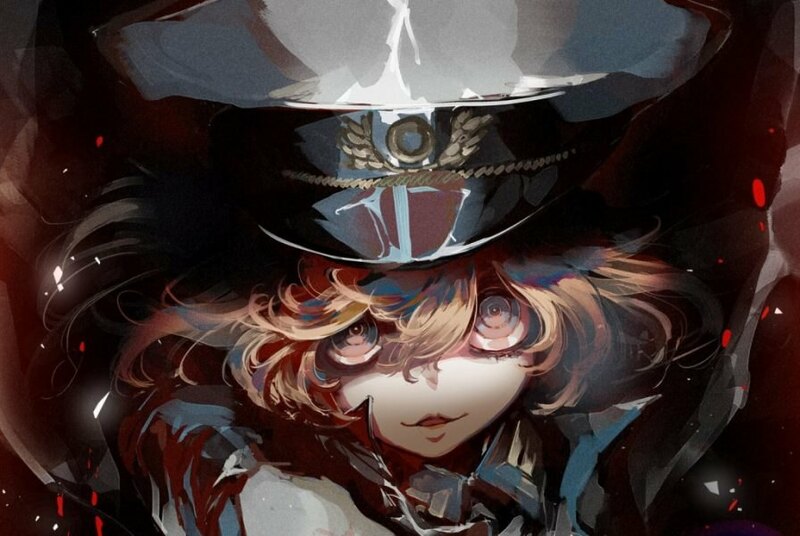 ‘Youjo Senki’ ha a total of 12 episodes with each episode being 24 minutes in length. This anime is quite fun and entertaining to watch. A man challenges Being X, a self-proclaimed God, to a battle of wits. As a result, he gets reincarnated as a girl into a world in which magical warfare takes place. In this form, his name is Tanya Degurechaff a girl whose ruthlessness and tactical prowess earns her the nickname of ‘Devil of The Rhine’. 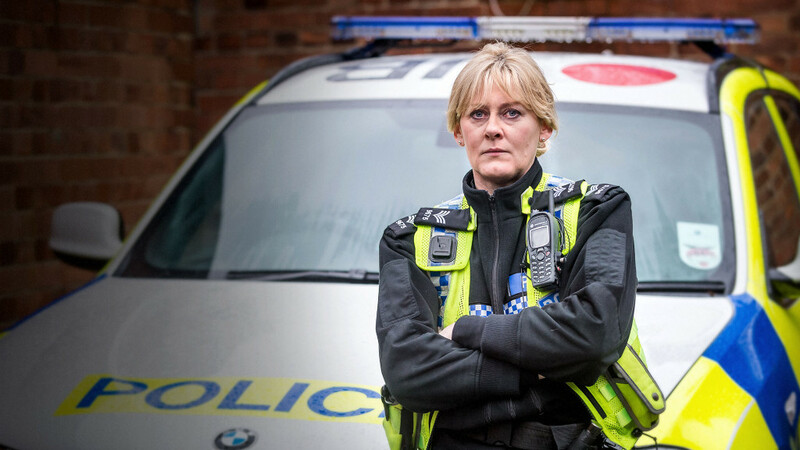 Tanya wants to quickly get to the top of the military ranks as her country is slowly getting into a World War. To restore peaceful time she once lived in she needs to defeat Being X. The premise of ‘Fractale’ is quite interesting but the implementation at times is kind of poor. But if you are looking something for quick viewing you might like ‘Fractale’. 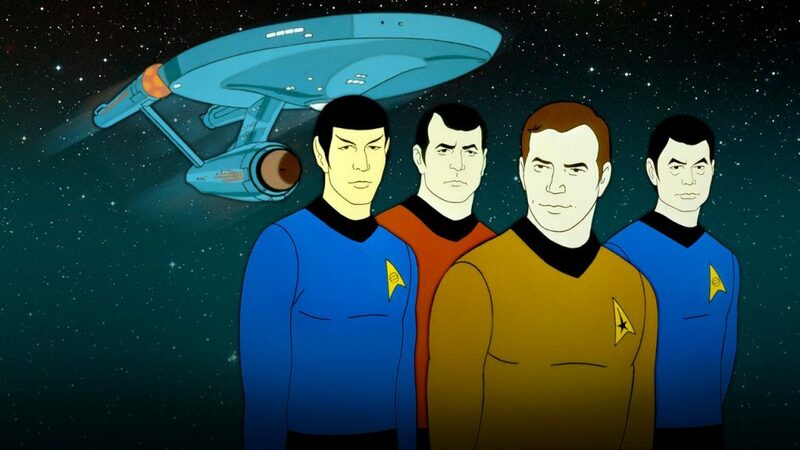 The series has a total of 11 episodes with each episode being 23 minutes in length. This anime is set in a world which resembles Ireland. The world is ruled by the ‘Fractale System’, a virtual-reality and content delivery system based on a satellite. 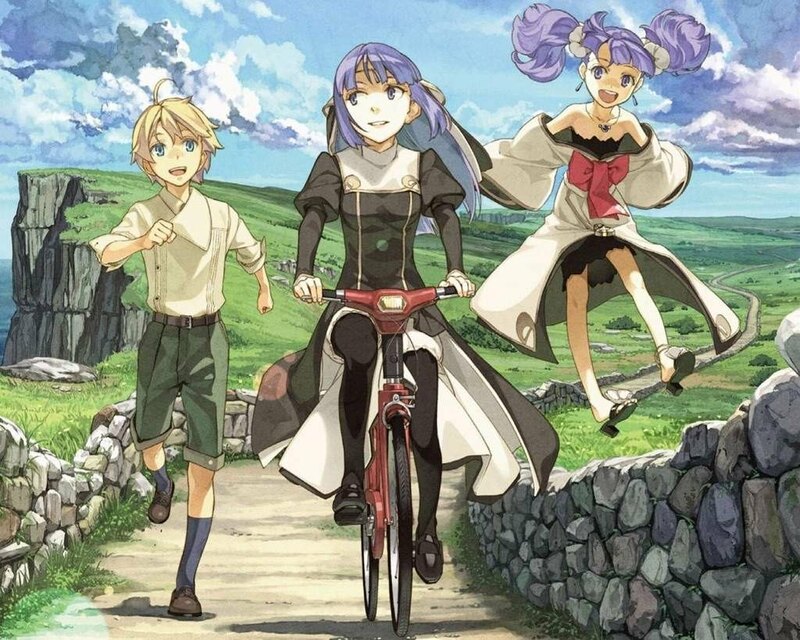 Clain, the protagonist of the anime, finds Phyrne who is injured and seems to be fleeing. He helps her but at night she disappears leaving behind a pendant. Clain somehow activates it and it takes the form of a girl. Now, the pair sets out on an adventure to find Phyrne and discover the truth behind the Fractale System. Youji Itami works as an officer in the Japan Self-Defense Force or JSDF. He is also an Otaku. He was on his way to attend a doujin convention in Tokyo when a mysterious portal in form of a gate suddenly appears out of nowhere. From the gate, supernatural beings and medieval armor-clad warriors emerge. They go on a rampage destroying everything and everyone on their path. Youji tries his best to save as many people as he can. Fast Forward to three months after this attack, the JSDF has created a special recon team with the leader as Youji. Their mission is to enter and explore the other side of the get and befriend the locals. The mission is critical as failure will result in a war. 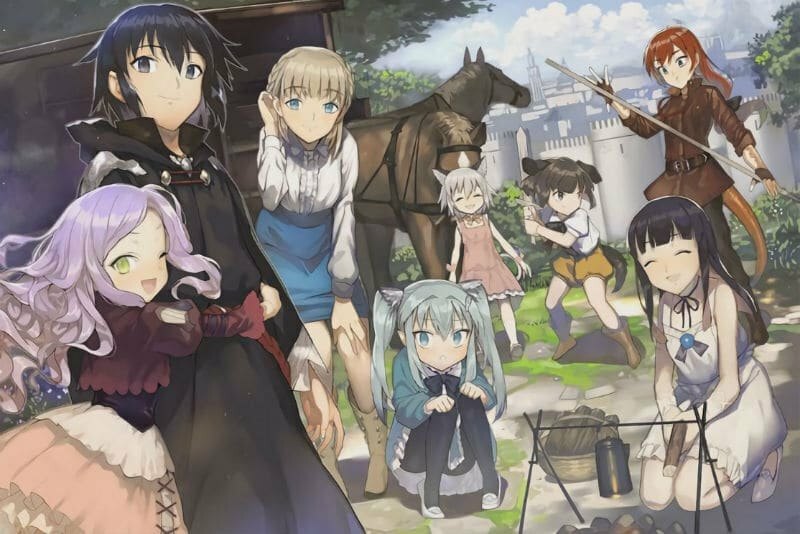 If you want to see an Isekai anime which has beautiful female characters then ‘Dungeon ni Deai wo Motomeru no wa Machigatteiru Darou ka?’ is a nice anime to check out. Don’t get me wrong the plot and the characters are decent enough to hook you till the end. Like other Isekai anime, this is a short one too having only 13 episodes with each episode being 24 minutes in length. This anime is set in a world where humans and Gods work together. Bell Cranel who always dreamt of becoming the greatest adventurer might turn his dream into reality after he meets a goddess, Hestia. Together they will venture deep into the dangerous catacombs of the city known as ‘Dungeon’. 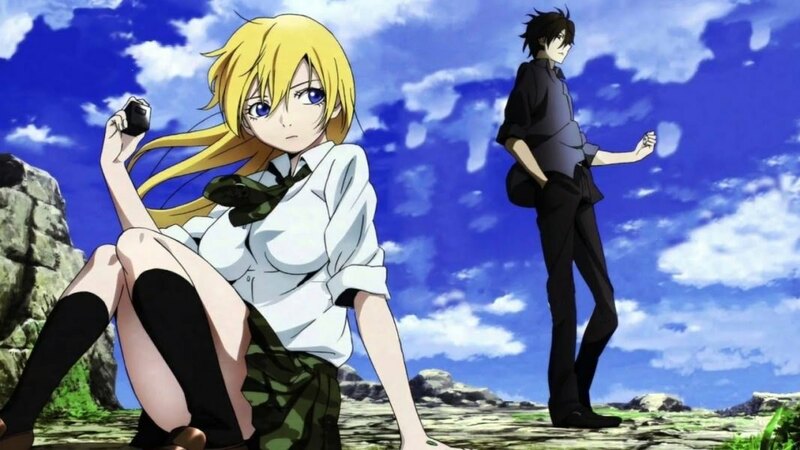 Ryouta Sakamoto is the top player of an online video game by the name of ‘Btooom!’. This is one and only achievement since he does not have any employment and lives with his mother. But one day he wakes up to find that he is now in a real version of the game he loves playing with one difference. Here, people can and will actually die. It is a survival game where every participant will have to kill other participants to obtain their green crystal. The survivor will get to live. Though reluctant at first Ryouta decides to go for the violent approach when other players he encounters end up being hostile. Did you think that games like air hockey, darts or bowling are lame? Then it’s time for you to think again since games like those will decide your fate after death in this anime. 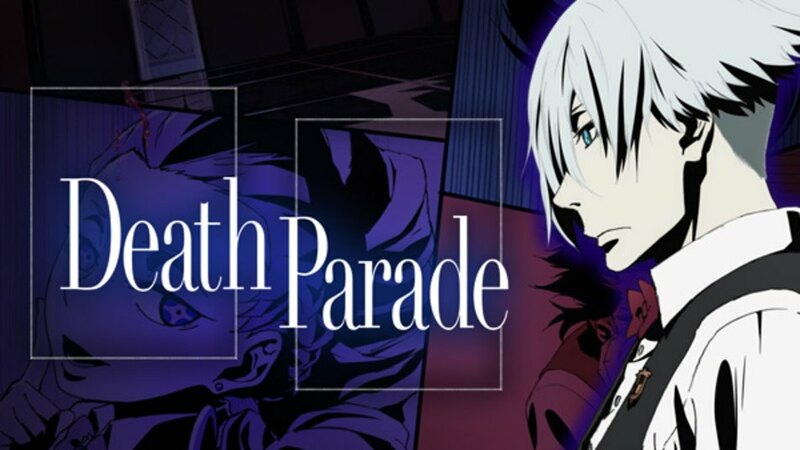 Welcome to the afterlife in the world of ‘Death Parade’ where only a bar separates your soul from falling into the void or entering the cycle of reincarnation. The bar’s master is decim, the arbiter of the afterlife who puts every pair of dead individuals against each other in a game. The winner will enter into the cycle of reincarnation but the loser will fall into the void. But then comes a character who will make him question his ways of ruling the afterlife. 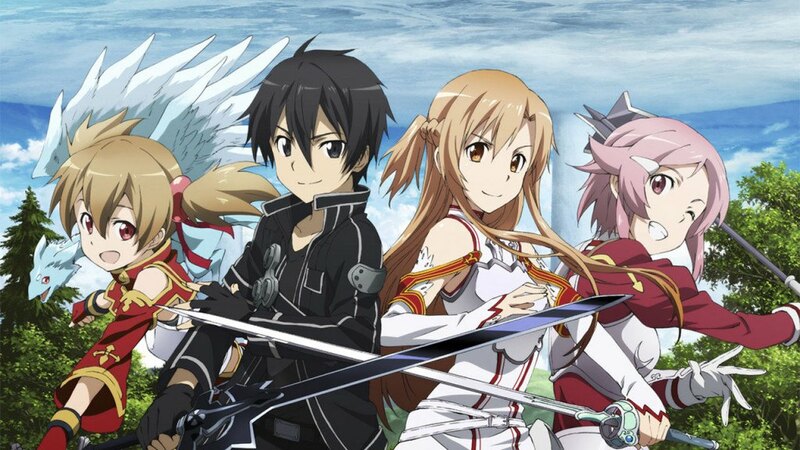 Sword Art Online is a popular online role-playing game. With the help of latest ‘NerveGear’ technology, the players can control their characters with just their thoughts. Everyone is excited and logs into the game only to realize that the creator has intended to trap them there until they complete 100 levels of the game. Kazuto Kirigaya is one of the unfortunate players. He must work and collaborate with other players to defeat the game and escape its clutches. There’s one problem though. If you die in the game, you die in real life. It might not be obvious at once why ‘One Punch Man’ is on this list. It is not even an isekai anime. But hear me out. Aren’t Saitama from ‘One Punch Man’ and Momonga from ‘Overlord’ in a similar sort of situation. both of them have powers and skills which puts them at the very top. For people who have not seen ‘One Punch Man’ yet, it is highly recommended that you watch the show. If you love the superhero genre and want to see a really funny parody of it then you love this anime. 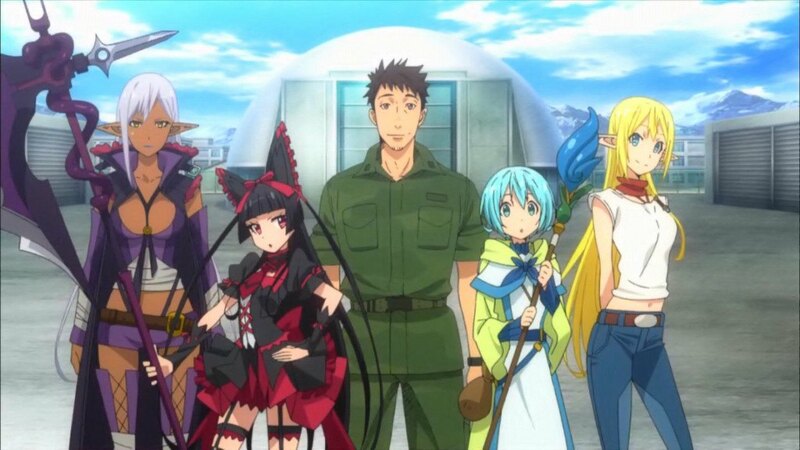 The anime is set in a world where the Hero Organization safeguards peace and protect the civilians. Among these heroes is Saitama. Though his rank is quite low he is so powerful that he can defeat anyone with just a single punch. Imagine his frustration of not getting a villain powerful enough to go few rounds with him. If you have come here to look for other anime like ‘Overlord’ in which the similarity lies in both anime being set in a game world then go for ‘Log Horizon’ which is quite similar in its approach to the isekai genre. This is one of the best game anime out there. Elder Tale is a popular MMORPG game. Following a game update, around thirty thousand players of the game find themselves in the game world unable to log out. Among these individuals is Shiroe. Though in real life he is socially awkward he is a veteran in this game with a high amount of experience. His experience will come in handy to restore order in this game world and lead other players into finding a solution to get out. If you have been wanting to watch a Chinese isekai anime like ‘Overlord’ then ‘Quanzhi Gaoshou’ is the anime to check out. It is one of the best Chinese anime out there. Glory is a popular online multiplayer game and one of the best players of the game is Ye Xiu. He is nicknamed ‘Battle God’ for his skills and his contributions. But then he is forced to retire from his team and finds work at an internet cafe. When Glory launches its tenth server Ye Xiu decides to join the game again. 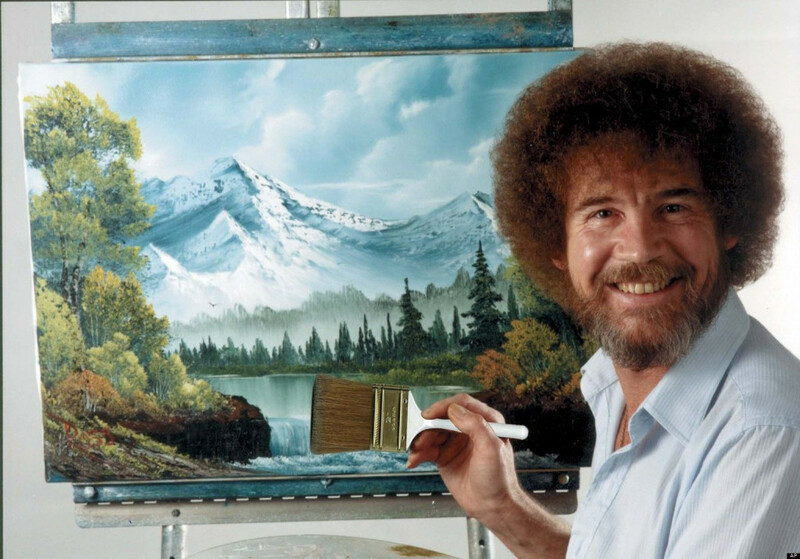 Soon, he becomes popular due to his skills. But over the past years, the game has changed a lot and now he doesn’t even have a sponsor or a team. Will he be able to reach the top again? ‘Tensei shitara Slime Datta Ken’ is one of the best isekai anime that aired in Fall last year. The anime is still going on and has amassed a strong fanbase. There will be a total of 24 episodes in this anime with each episode being 23 minutes in length. The show is of pretty decent quality. 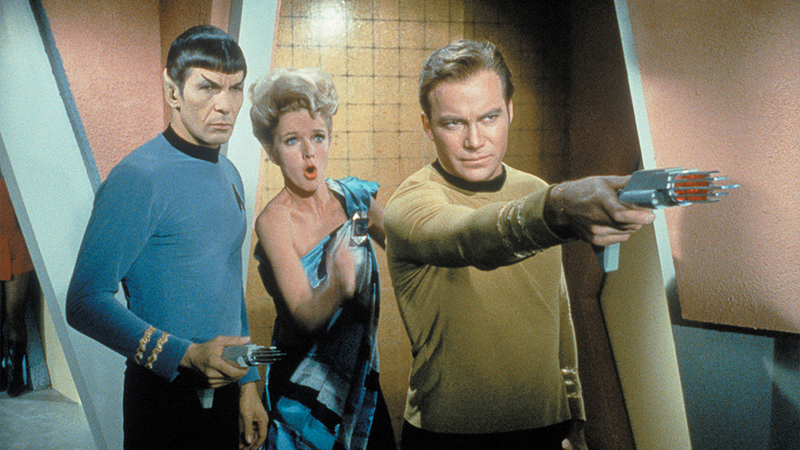 It is funny and interesting and hooks you enough to yearn for the next episode. 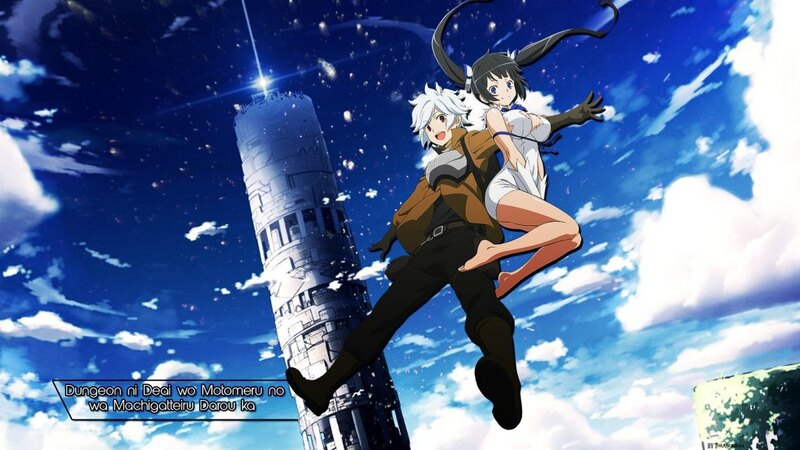 After watching 6 to seven episodes I stopped since I like binge-watching anime. I am just waiting for the series to finish airing which we should be expecting around the month February. Satoru Mikami is a 37-year-old human. Unfortunately, a robber attacks and kills him. But can death be fun? He seems to be reincarnated as a slime monster named Rimuru Tempest in a fantasy world. He seems to have special skills which make him quite powerful. His adventure in this fantasy world is about to begin. 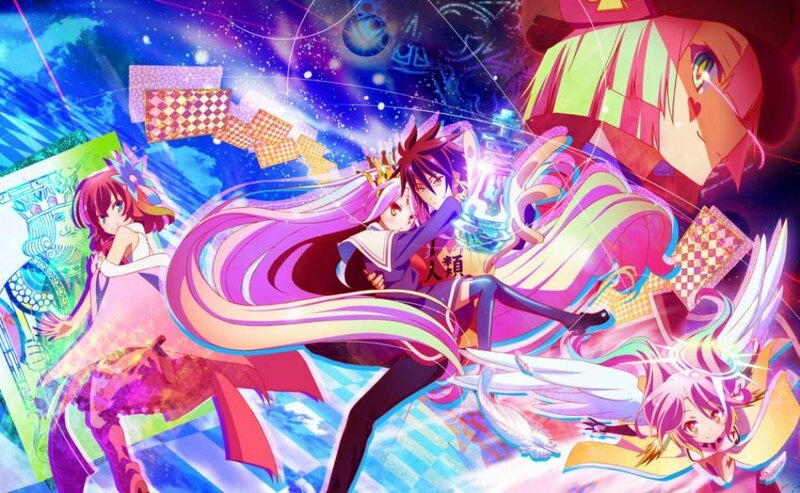 This anime revolves around two siblings, Sora and Shiro, who are one of the best gamers in Japan. But they never thought that their exceptional gaming skill will be of use to anyone. One day they receive an email which challenges them to a chess match. Soon, they find themselves in another world by the name of Disboard where the solution to every problem is playing a game. The conflicting parties are pitted against each other in a game and the winner is decided by it. The ruler of this world is Tet, the God of games. Sora and Shiro decide to challenge Tet to become the new Gods of this world.